The Tuesday bird walk on November 05 will be going to Deep Bay. The Sunday bird walk went to the Plummer Road side of the Englishman River Estuary in Parksville. The morning was sunny but cool with a wild wind blowing all morning. Six California Quail ran across the trail just in front of us. We saw American Widgeon, Mallard, Northern Pintail and Green-winged Teal were hankered down from the wind, feeding on the mud flats. A musical Bewick’s Wren’s singing caught our attention. Canada Geese, American Widgeon, Gadwall, Mallard, Northern Pintail, Green-winged Teal, Harlequin Duck, Red-breasted Merganser, Pacific Loon, Belted Kingfisher, Bald Eagle, Sharp-shinned Hawk,, Dunlin, California Quail, Mew Gull, California Gull, Glaucous-winged Gull, Northern Flicker, Common Raven, Northwestern Crow, Chestnut-backed Chickadee, Bewick’s Wren, Varied Thrush, European Starling, Spotted Towhee, Song Sparrow and Brewer’s Blackbird. 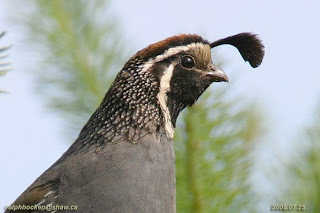 California Quail: Ralph Hocken Photo. A Barred Owl was seen in the trees above Garside Road at Brannon Lake in Nanaimo. Twenty-two American Pipits and a Western Meadowlark were seen at Piper’s Lagoon in Nanaimo. A Redhead Duck was spotted at Buttertubs Marsh in Nanaimo. Three Common Mergansers and two Common Loons on the foggy Strait of Georgia. Two Anna’s Hummingbirds perched on shrub just off the road. We had good views of a Savannah Sparrow and two Fox Sparrows as we walked along the road. A juvenile Northern Shrike was perched on a top of a short tree along the waterfront giving us good looks. Canada Geese, American Widgeon, Mallard, Bufflehead, Common Merganser, Common Loon, Bald Eagle, Northern Shrike, Thayer's Gull, Glaucous-winged Gull, Belted Kingfisher, Eurasian Collared Dove, Northern Flicker, Northwestern Crow, Anna’s Hummingbird, Pacific Wren, Bewick's Wren, Spotted Towhee, Savannah Sparrow, Fox Sparrow, Song Sparrow, White-crowned Sparrow, Golden-crowned Sparrow, Dark-eyed Junco, House Finch and House Sparrow. 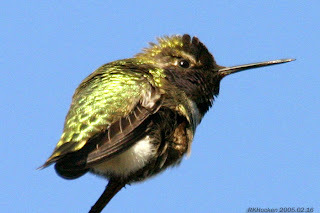 Anna’s Hummingbird: Ralph Hocken Photo. A White-throated Sparrow has been visiting a backyard along Hammond Bay Road in Nanaimo. 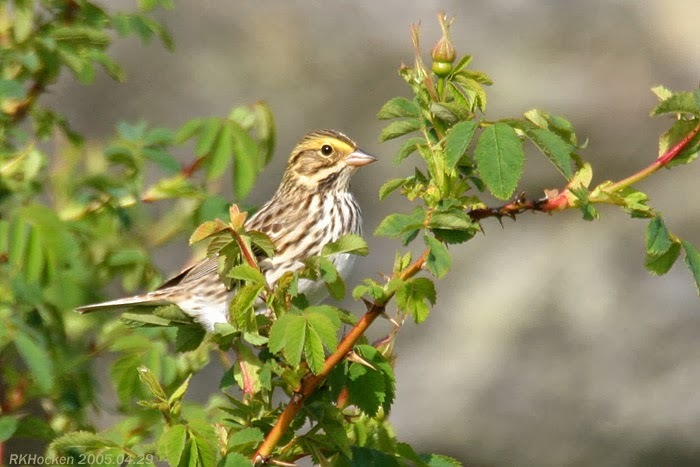 A Western Meadowlark, A Horned Lark, Lapland Longspur’s, American Pipit’s and several Lincoln’s Sparrows were seen at Piper’s Lagoon in Nanaimo. Song Sparrows, Mallards and a Varied Thrush were seen at the marsh area next to the parking lot at Neck Point in Nanaimo. Guest speaker will be John Neville and he will talk about the Raptors of Canada. The Tuesday bird walk on October 29 will be going to the Shelly Road side of the Englishman River Estuary in Parksville. Meet at the Parksville Community Park at the parking lot near the Lions Club playground at 9:00 am or the Oceanside end of Shelly Road off Highway 19a at about 9:10 am. 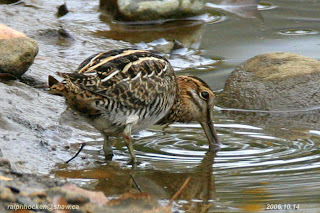 The Sunday Bird Walk on November 03 will be going to Nanaimo River Estuary in Nanaimo. Meet at the birdstore at 9:00 am or at the end of Raines Road in south Nanaimo at about 9:30am. a REDHEAD was reported today, October 23, at Buttertubs marsh. Check the water near the Osprey stand for the bird. Common Loons on the foggy Strait of Georgia. Two Anna’s Hummingbirds perched on shrub just off the road. We had good views of a Savannah Sparrow and two Fox Sparrows as we walked along the road. A juvenile Northern Shrike was perched on a top of a short tree along the waterfront giving us good looks. The Tuesday bird walk on October 29 will be going to the Shelly Road side of the Englishman River Estuary in Parksville. To report your sightings phone the Store at 250-390-3669or e-mail us at thebackyard@shaw.ca.. Please remember, when reporting a sighting, to leave your name and phone number along with the date, the species and location of your sighting. 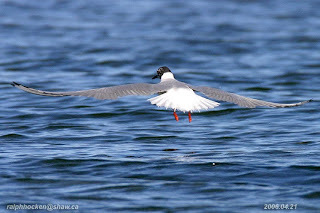 The Sunday bird walk went to the Nanoose Bay. The morning was cloudy and cool. We saw several Red-necked Grebes, Surf Scoters, Pacific Loons and Pelagic Cormorants on the water. A Western Meadowlark gave us great close views as he perched on a short shrub. 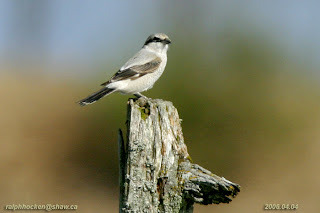 We spotted a Northern Shrike perched on the top of a tall snag at the end of the walk. Canada Geese, Mallard, Bufflehead, American Widgeon, Northern Pintail, Green-winged Teal, Surf Scoter, White-winged Scoter, Hooded Merganser, Common Merganser, Common Loon, Pacific Loon, Horned Grebe, Red-necked Grebe, Double-crested Cormorant, Pelagic Cormorant, Great Blue Heron, Killdeer, Bald Eagle, Northern Shrike, Mew Gull, California Gull, Bonaparte Gull, Thayer’s Gull, Glaucous-winged Gull, Belted Kingfisher, Bewick’s Wren, Pacific Wren, Western Meadowlark, Northwestern Crow, Common Raven, Northern Flicker, American Robin, Ruby-crowned Kinglet, Golden-crowned Kinglet, Fox Sparrow, Lincoln’s Sparrow, Song Sparrow, White-crowned Sparrow, Golden-crowned Sparrow, Spotted Towhee, Purple Finch and Dark-eyed Junco. Five Horned Larks, two American Pipits and a Western Meadowlark were seen at Pipers Lagoon in Nanaimo . A Great Horned Owl was spotted near the parking lot at Neck Point Park in Nanaimo. Over fifteen Townsend’s Solitaires and three Anna’s Hummingbirds were seen at the top of Little Mountain just outside of Parksville. One Sandhill Crane was seen on a cornfield by the seventeen hole of the Cottonwood Golf Course in south Nanaimo. An American Dipper was seen at the lower pond of the Colliery Dam Park in Nanaimo. 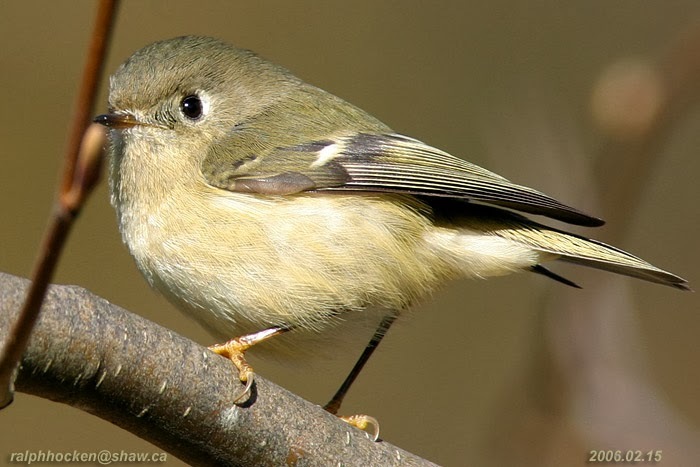 An Orange-crowned Warbler was seen along the Maki Road in south Nanaimo. A Western Gull was seen roosting with the hordes of Gulls near the Living Forest Campground in south Nanaimo. The Tuesday bird walk went to the Little Qualicum River Estuary in Qualicum Beach. The morning was sunny and warm giving us a great morning of birding. The highlights included seeing a flock of over one thousand Pacific Loons stretching in a very long line offshore. Over two hundred Western Grebes gave us great views further offshore. Many Common Loons were not far from shore. We saw thirty Bonaparte's Gulls in with the mixed flock of gulls. There were Black Scoters not far from shore. A season of Killdeer was bathing in the estuary. We spotted a Western Meadowlark at the top of a tall conifer tree. A dark-phased Red-tailed Hawk perched on top a conifer tree giving us good views. Fifteen birders saw and heard the following forty-two species. Canada Goose, American Wigeon, Mallard, Harlequin Duck, Surf Scoter, White-winged Scoter, Black Scoter, Red-breasted Merganser, Common Merganser, Pacific Loon, Common Loon, Horned Grebe, Red-necked Grebe, Western Grebe, Double-crested Cormorant, Pelagic Cormorant, Great Blue Heron, Bald Eagle, Red-tailed Hawk, Killdeer, Black Turnstone, Bonaparte's Gull, Mew Gull, California Gull, Thayer's Gull, Glaucous-winged Gull, Belted Kingfisher, Northern Flicker, Northwestern Crow, Common Raven, Western Meadowlark, American Robin, , Ruby-crowned Kinglet, Chestnut-backed Chickadee, Red-breasted Nuthatch, Brown-headed Cowbird, Red-winged Blackbird, Brewer’s Blackbird, Spotted Towhee, Song Sparrow, Dark-eyed Junco and House Finch. Two Long-billed Dowitchers were seen at Holden Creek in south Nanaimo. A Harlan’s subspecies Red-tailed Hawk was seen along Keene Road and Yellowpoint Road in Cedar. A Red-breasted Sapsucker was seen in a Backyard at Coombs. A Steller’s Jay was seen in a backyard near Morningstar Golf Course in French Creek. Four Horned Larks, two Lapland Longspurs and two Western Meadowlarks were seen at Piper’s Lagoon in Nanaimo. 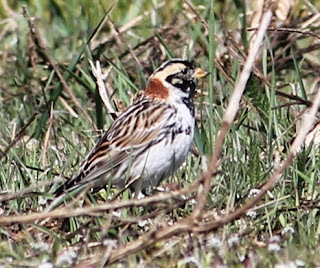 A Lapland Longspur and three Horned Larks were seen at Piper’s Lagoon in Nanaimo. A Lapland Longspur was seen at St. Jean Point on Hornby Island. Lapland Longspur: Nick Smith Photo. The Tuesday bird walk on October 22 will be going to Columbia Beach. Meet at the Parksville Community Park at the parking lot near the Lions Club playground at 9:00 am or the parking area at Admiral Tyron Bldg. off Columbia Drive at about 9:10 am. 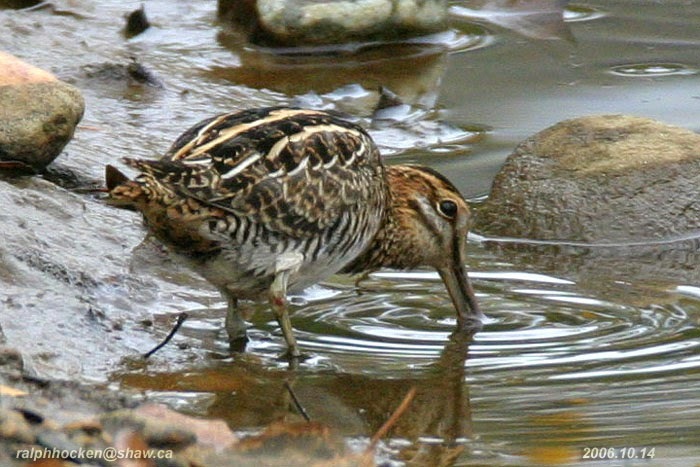 The Sunday Bird Walk on October 20 will be going to Englishman River Estuary, Plummer Road side. Meet at the birdstore at 9:00 am or at the corner of Plummer Road and Shorewood Drive in Parksville about 9:25 am. 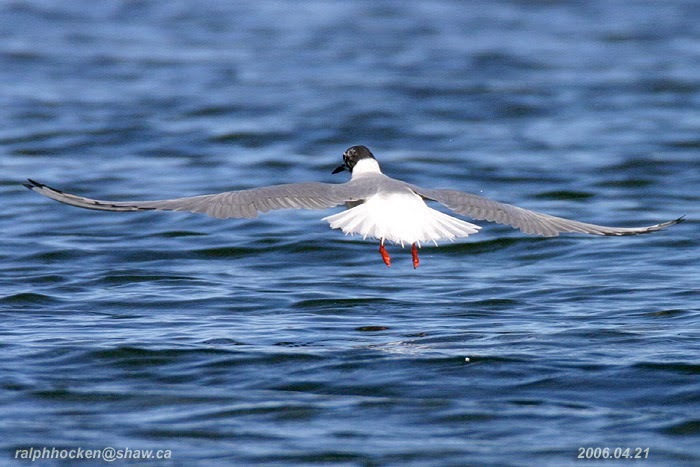 The Tuesday bird walk on October 22, 2013 will be going to Columbia Beach. To report your sightings phone the Store at 250-390-3669 or e-mail us at thebackyard@shaw.ca Please remember, when reporting a sighting, to leave your name and phone number along with the date, the species and location of your sighting. The Sunday bird walk went to the Neck Point Park in Nanaimo. The morning was sunny and warm. 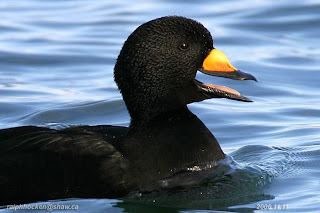 We saw several Red-necked Grebes, Surf Scoters, Pacific Loons and Pelagic Cormorants on the water. 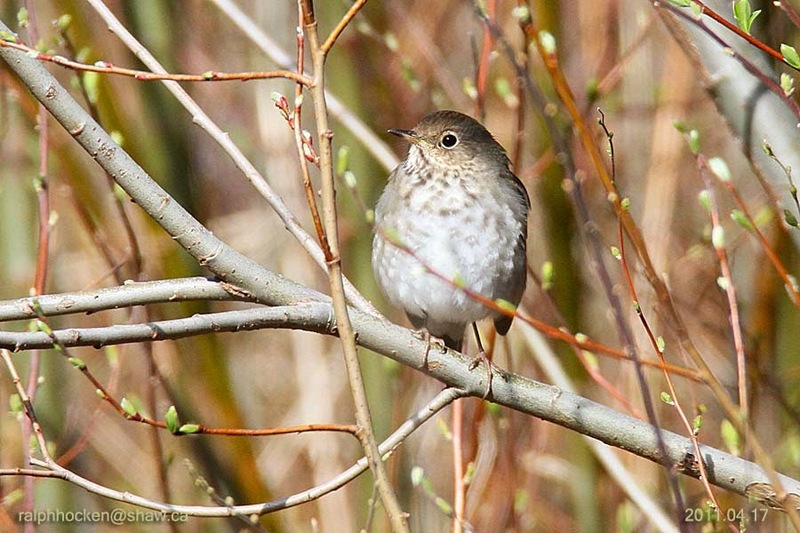 The surprise of the morning was the sighting of a Hermit Thrush just off the path. Canada Geese, Mallard, Harlequin Ducks, Surf Scoters, White-winged Scoters, Long-tailed Ducks, Red-necked Grebe, Common Mergansers, Red-breasted Mergansers, Doubled-crested Cormorant, Pelagic Cormorant, Great Blue Heron, Belted Kingfisher, European Starling, Bald Eagle, Black Turnstones, Black Oystercatchers, Spotted Sandpiper, Ring-billed Gull, California Gull, Herring Gull, Thayer’s Gull, Glaucous-winged Gull, Northern Flicker, Downy Woodpecker, American Robin, Varied Thrush, Hermit Thrush, Northwestern Crow, Pacific Wren, Bewick’s Wren, Brown Creeper, Chestnut-backed Chickadee, Anna’s Hummingbird, Golden-crowned Kinglet, Ruby-crowned Kinglet, Spotted Towhee, Fox Sparrow, Song Sparrow, Golden-crowned Sparrow, White-crowned Sparrow, Savannah Sparrow, Fox Sparrow, Dark-eyed Junco and Red Crossbill. 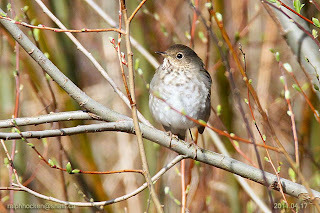 Hermit Thrush: Ralph Hocken Photo. Friday, October 11: A Lapland Longspur and a Horned Lark were seen at Piper’s Lagoon in Nanaimo. Fifteen Western Meadowlarks were seen this evening at the Nanaimo River Estuary in south Nanaimo. A Barn Owl was spotted near Coventry Place in Nanoose Bay. The Tuesday bird walk went to the Englishman River Estuary Plummer Road side. The morning was very windy as there was a strong wind off the Strait of Georgia. The tide was very high and we were not able to walk along the shore of the estuary. The surf was up, but we did manage to spot two Pacific Loons in breeding plumage in the surf. A large flock of Pacific Loons and Surf Scoters flew down the Strait. A good number of American Robins, Chestnut-backed Chickadees and Dark-eyed Juncos spent most of the morning flying and perched. We spotted our first of the year Eurasian Widgeon in with a flock of American Widgeons on the receding tide. 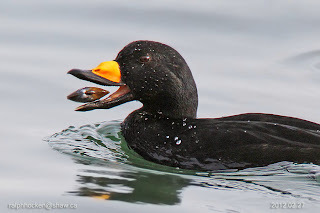 White-winged Scoter, Pacific Loon, Common Loon, Red-necked Grebe, Double-crested Cormorant, Pelagic Cormorant, Bald Eagle, Cooper’s Hawk, California Gull, Glaucous-winged Gull, Northern Flicker, Northwestern Crow, Common Raven, European Starling, Chestnut-backed Chickadee, Anna’s Hummingbird, Bewick's Wren, American Robin, Varied Thrush, Cedar Waxwing, Orange-crowned Warbler, Spotted Towhee, Song Sparrow, Dark-eyed Junco, House Finch and Purple Finch. Four Sandhill Cranes were seen in a farm field near the Englishman River Falls.
. A possible Red-napped Sapsucker was spotted near Westdale Road and Norasea Road in Nanaimo. The Nanoose Naturalists meeting will be held at 7pm at the Nanoose Library Hall. The Tuesday bird walk on October 15 will be going to The Little Qualicum River Estuary in Qualicum Beach. Meet at the Parksville Community Park at the parking lot near the Lions Club playground at 9:00 am or the viewing platform in north Qualicum Beach Park at about 9:20 am. The Sunday Bird Walk on October 20 will be going to Nanoose Bay. Meet at the birdstore at 9:00 am or at the parking area on the beach behind the Church Camp off Highway 19 and Arlington Road about 9:15 am.